Developing the design of a building, especially one situated within a historic context, requires patient liaising with local authority planners and design officers. We have been designing the redevelopment of a prominent corner site in Enfield. 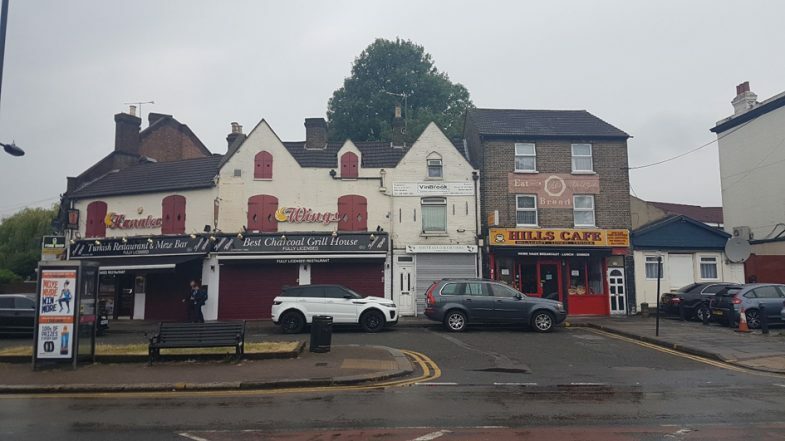 The wedged shaped site is located to the corner of Hoe Lane and Hertford Road, opposite a four storey new residential building and along from a proposed regeneration of a grade II listed former pub site. Design options of an extension to the existing building and a new build were discussed with planners at pre-planning stage. A new build option was preferred and thorough study of different massing with mansard, flat and pitched roofs was carried out. 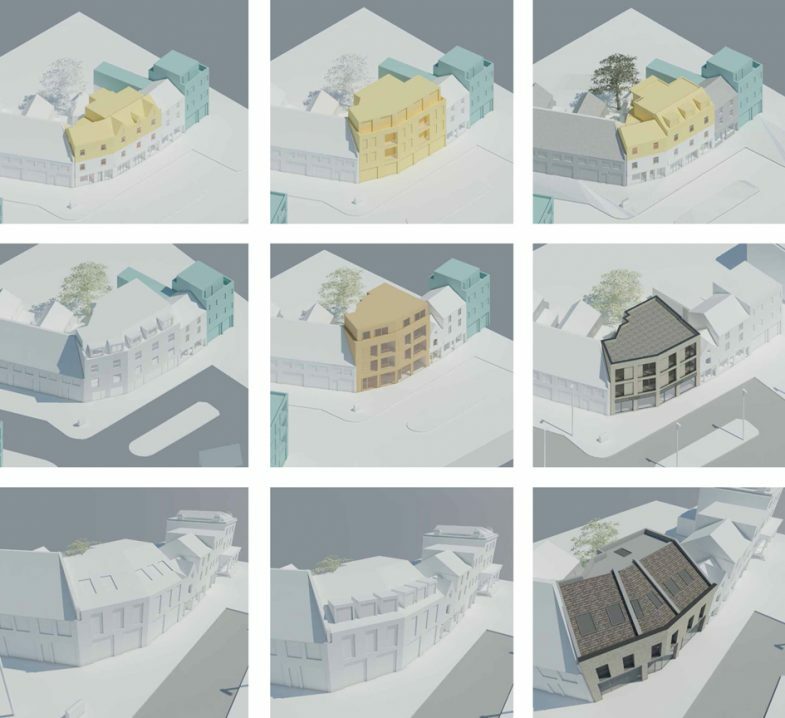 Our final scheme respects the line of the adjacent pitched roofs along with the fenestration of the listed and historic buildings. 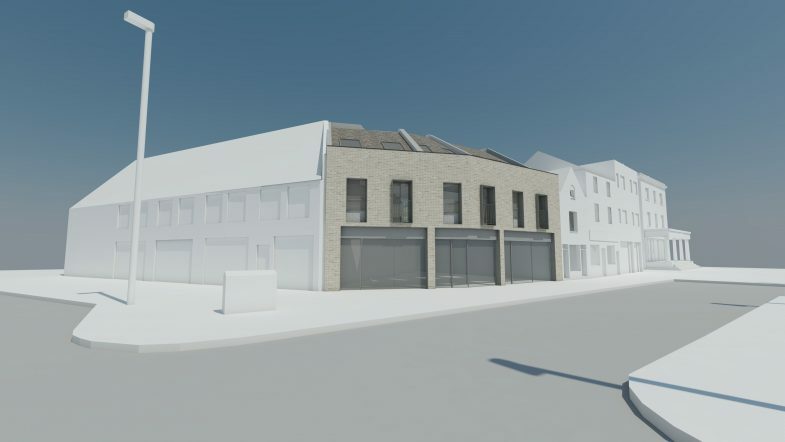 The new building will maintain commercial use at ground floor level, the new flats will be approached via an existing rear access maximising the shop windows and allowing the existing alleyway to be refurbished. Two of the flats benefit from rear facing balconies overlooking the mature trees to the rear, the front façade is punctuated by vertically portioned windows responding to the existing context. The impact on daylight and sunlight was assessed by the British Research Establishment with a Daylight and Sunlight study demonstrating the minimal impact on the neighbouring buildings. A parking survey was also conducted to demonstrate the adequacy of on street parking to accommodate the proposed flats. 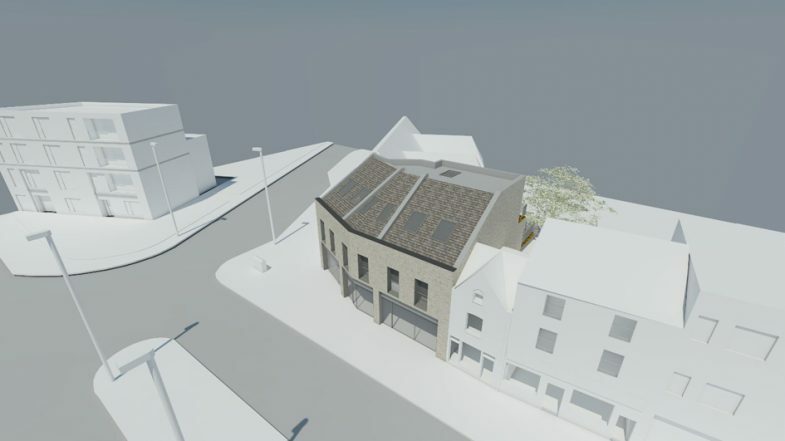 It is hoped the new development will be able to revitalise the existing run down building providing better quality commercial space and valuable residential accommodation, a planning decision is expected shortly. If you are looking to develop your business premise and require design advice regarding the improvements please contact Mark Fairhurst Architects on T: 020 7407 7070 or E: [email protected] to arrange a free consultation.